As proud employees of USIC, most of us have gotten to a point where large start-ups are second nature, or simply put, no big deal. However, I’d like to remind everyone, they are a massive undertaking. So why does it seem so easy? We just have people in our organization that work hard and know how to pull these things off. 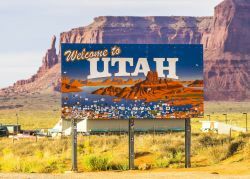 Utah is one of those large start-ups that is taking an army of hard working USIC employees to get it going. An added challenge is that Utah is new territory for USIC. That means we are starting from scratch. No office, no trucks, no equipment and no employees. With an April 1st Utah start, we are well on our way to being operational. We secured an office in Salt Lake City where our new district manager, Jason Brooks, will manage the operations. He has already coined their battle cry “Go Utah!”. Jason has been with USIC for over 15 years. For most of that time, he has been the District Manager of Western Missouri. With 23 total years of experience in the locating industry, Jason is a great fit to lead this new operation. Jason will be moving to the Salt Lake City area with his wife of 20 years, Lynet, his 3 dogs and 1 cat.